495600385 -The success of this best-selling text lies in the author’s belief that a good text talks with, rather than at, its readers. 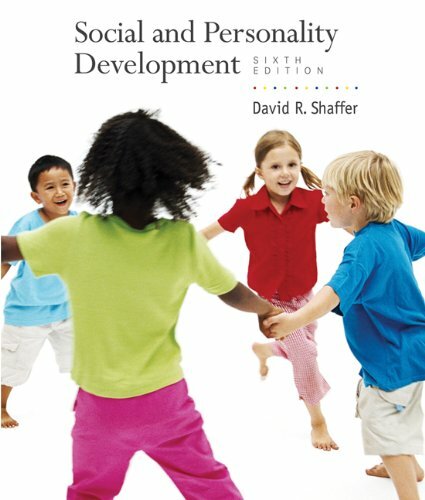 Shaffer does an extraordinary job of anticipating students’ interests, questions, and concerns while treating them as active participants in the process of learning about social and personality development. The Sixth edition of SOCIAL AND PERSONALITY DEVELOPMENT features clearly written, current coverage of social and personality development that aids students in discovering the causes, processes, and complexities that underlie developmental change. Students learn why biological and environmental factors, contextual factors such as cross-cultural, familial, neighborhood, school, and peer-group influences cause change in children. Shaffer also explores the approaches that researchers use to test their theories and answer important questions about developing children and adolescents. This book’s effective coverage of field research stands out from other texts not only for its accuracy and currency, but because Shaffer consistently juxtaposes classic research with the latest breakthroughs in a way that helps students appreciate how knowledge builds on earlier findings. This edition features a much stronger emphasis on cultural influences on development.